Sandy blew in an out of here, quite literally, with a bitter, bitter chip on her shoulder. Although inconvenienced by some power loss and a few extra tree trunks in my driveway, it is nothing compared to the many people that lost pieces of their lives forever. However, as I’ve said for years after large storms or even a simple downpour on a summer day, weather has a way of washing out the old and making way for the new. Let’s keep our chins up and help others as much as we can…they would certainly do the same for you. On that note, nothing makes me feel like brand new more than new life. 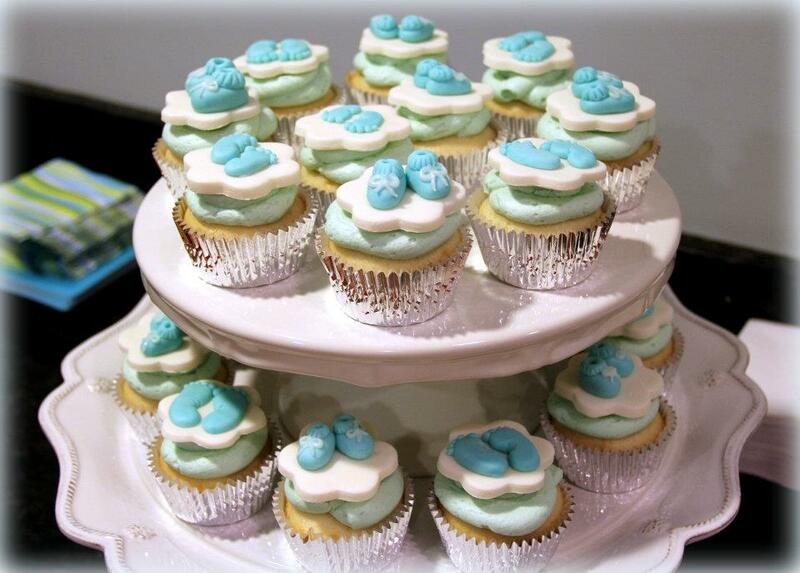 These were made a while back for a good friend’s baby shower (the little guy is now a gorgeous, happy and healthy baby boy, with big crystal blue eyes and a smile that lights up the room! ) yet during a time when things seem more complicated than usual, it is nice to revert back to thoughts of the innocent, uncomplicated, pure little peanuts that light up our lives. One batch of marshmallow fondant. Prepare the marshmallow fondant per the instructions set forth in #1 above. Booties: Shape the bottom part of the booty to resemble a lima bean. Shape the top portion into a smaller ball. With a dab of water, affix the two together. Using a toothpick, press little indents around the top portion. Using Royal Icing, pipe on a little bow, or any other decoration that suits your fancy. 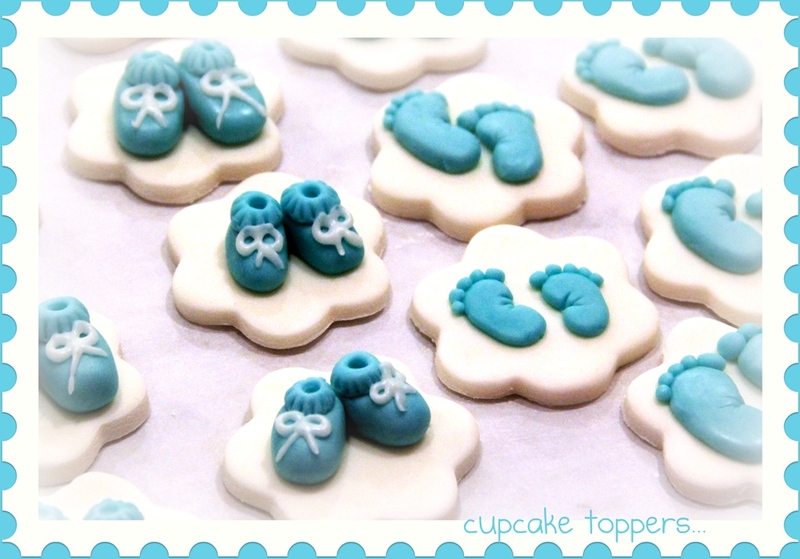 Feet: Again, shape a portion of fondant to look like a lima bean. Flatten a bit and bend to shape like a foot. Using a toothpick, indent the little tootsie creases. Toes: I know you have this one without direction! You can either affix all of the pieces to the topper base with a dab of water (paintbrushes work wonders here) or a dab of corn syrup. I prefer the corn syrup for much smaller pieces. Dip the end of a toothpick in the corn syrup and dab on like glue. Careful not to add too much… we don’t want the corn syrup to show from underneath! Let dry in a cool, dark, uncovered place until ready to top those cupcakes!